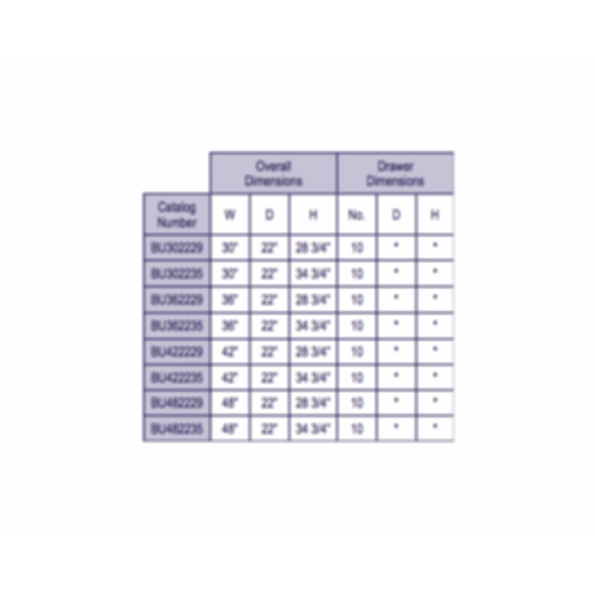 For Units 28 3/4" High: 2 Drawers - (D) 2 3/4", (H) 1/8. 4 Drawers - (D) 5 1/2", (H) 1/4. 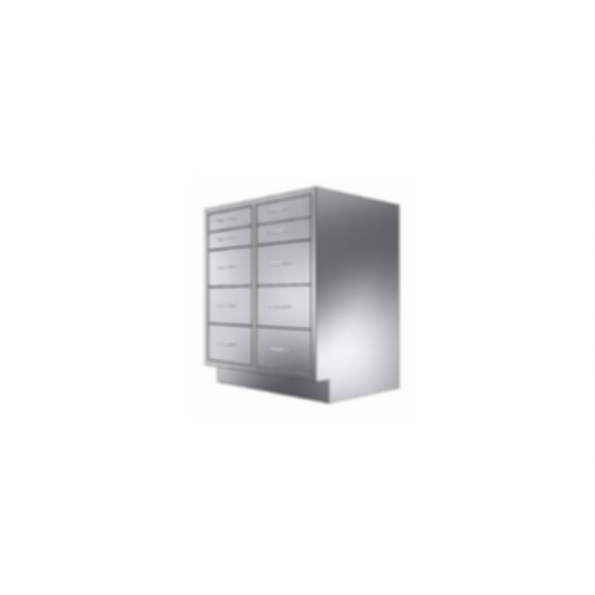 For Units 34 3/4" High: 2 Drawers - (D) 3 1/2", (H) 1/8. 4 Drawers - (D) 7", (H) 1/4.